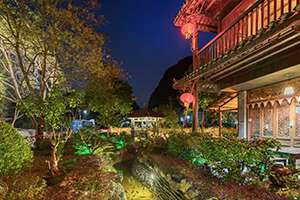 Yangshuo Tea Cozy has been open since March 21st, 2012. 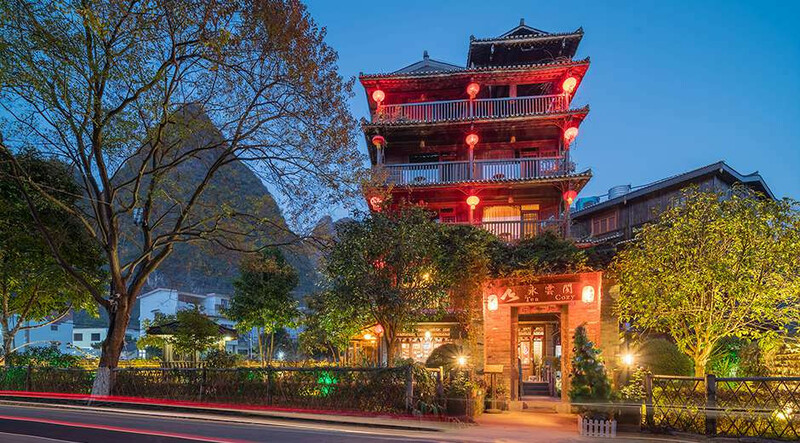 Encircled by breathtaking Karst peaks, situated beside the banks of the Dragon River and hidden among local farmers' fields, Yangshuo Tea Cozy Boutique Hotel is an ideal refuge away from the town's crowded market streets. 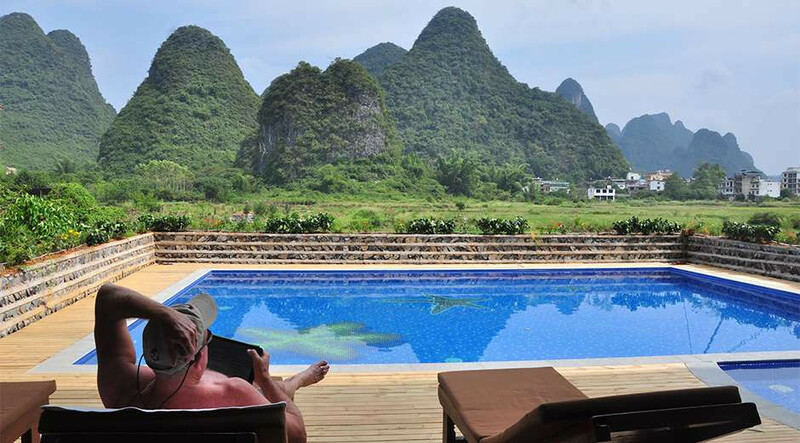 Come and relax in a peaceful and serene location just a short distance from Yangshuo's famous West Street. guests for our next tea ceremony. 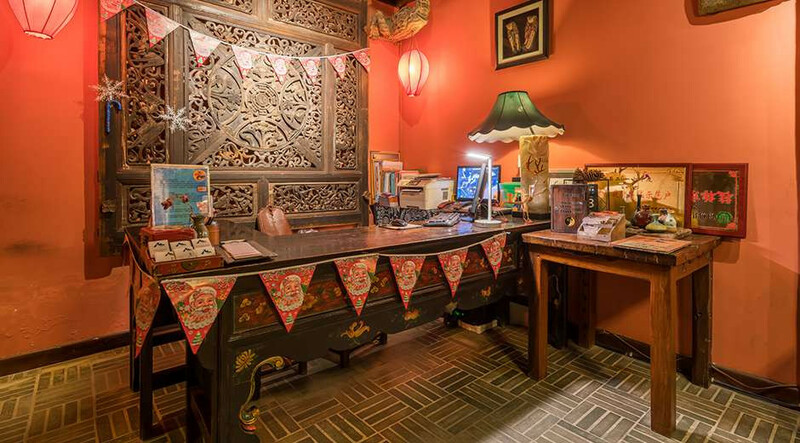 Each of the eighteen rooms in the Tea Cozy Boutique Hotel is unique and decorated in a traditional Chinese style with tastefully fitted wooden furnishings, personally selected by us. Every room houses an array of antiques and pieces of local artwork. Enjoy a comfortable night's sleep on the best mattresses on the market before heading out onto the wooden balcony to take in panoramic views of the local landscape. If you are seeking action and adventure our dedicated team have expert knowledge of the local area and can arrange kayaking, white water rafting, climbing, caving and even camping. 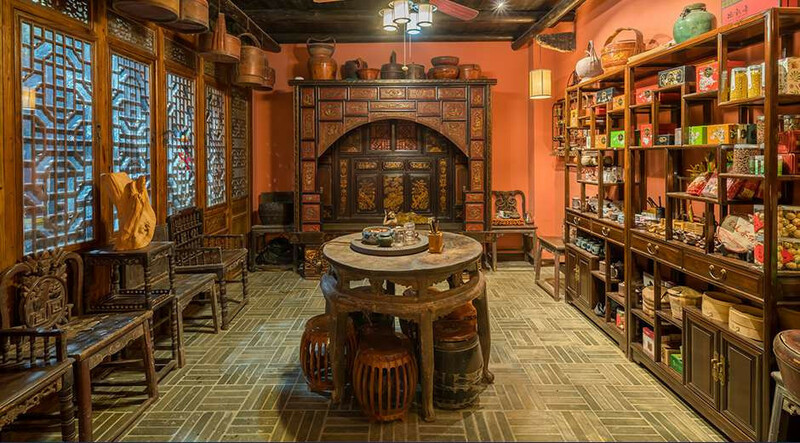 For those looking for more cultural immersion, we can arrange cooking lessons, tea ceremonies, tai-chi sessions with the local masters and more. Alternatively, if you are just seeking peace and quiet our rooftop bar and restaurant serving Chinese and Western cuisine from our organic garden provide the perfect backdrop for rest and recuperation. At the Tea Cozy Boutique Hotel we pride ourselves on high quality and personal customer service. Come and join a family atmosphere, walk among the paddy fields, meet the local villagers and immerse yourself in the local culture. We are committed to making your stay with us a magical and memorable one.